Many parents begin the childcare search by listing the facilities closest to their commute or ones in an affordable price range. While convenience and cost are important things to take into account when choosing the best childcare in the Bryan, Texas area, there are many other factors that come into play. Appropriate licensing, educational standards, child to adult ratio and health and safety considerations are also important. While any parent can open the phone book or search online for a nearby childcare center, there are better methods of finding one that is right for your family. After all, you want the best possible set up for your child. Get referrals from friends or family with children the same age as your own. Talking to people you trust about which childcare center they used is a great first step in finding the perfect one. People are keen to complain about things, and if there are too many negatives, it might not be the best childcare to send your son or daughter to. Search for independent and honest reviews on the internet. There are many independent review sites on the web where people can talk about their experiences with everything from plumbers to banks. People will give reviews of their child’s preschool or babysitting service, especially if there was any type of problem. Read as many of these as you can find from different sites. 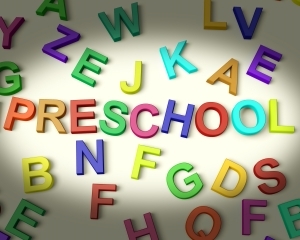 Visit any childcare centers in Bryan, TX that make the final list to make your own judgments. Once you have narrowed down the list to three or four good childcare centers, make an appointment to visit each one and see how it operates. Being able to observe activities during a standard day can help you figure out if it is right for your child. When you finally make the choice and sign your son or daughter up for childcare at particular school or facility, stay involved and engaged with what is going on at all times. Be ever mindful of any problems or behavioral fluctuations your child may experience. Selecting the right childcare is an ongoing process that can change with the needs of your growing child.